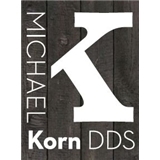 Michael S. Korn, DDS (Tukwila) - Book Appointment Online! Dr. Korn graduated from the prestigious University of Southern California School of Dentistry and was nominated by the faculty for “best hand skills” or the Rex Ingraham Award, 2010. He received a Master of Science in Synthetic Organic Chemistry, 2005 and a Bachelor of Science in Chemistry, 2003 both from Northern Arizona University. Dr. Korn chose dentistry to match his interests, skills and perfectionist personality. In dentistry, Dr. Korn is able to make a lasting impression on the health, wellness and happiness of people around him. Dr. Korn was drawn to the geography and climate of the Great Northwest to raise his family. He became a voracious volunteer at Swedish Community Specialty Clinic performing full mouth extractions. In November, 2014, Dr. Korn was recognized as “Volunteer of the Year” by Seattle King County Dental Foundation for his free surgical work there. Best Dentist appointment ever even with having to have a tooth pulled. He was responsive and cared about my pain levels the whole time!